Who really loves your business? Of course you do, but you don’t count. A better question is: which portion of the public out there really loves your freelance writing business? You’d like to think everyone who has the need for a writer loves your business, but that’s simply not the truth. Not everyone is going to love your business nor will they be able to use the services you provide. Acting like that’s even remotely possible can be a huge burden to your company. That’s why, in my humble opinion, many smart writers find a niche to fill. Specializing your company can give you a foothold in a market that’s otherwise giving you trouble. In fact, if you’re not specializing and actively filling a niche, you’re probably losing money. To understand why you should consider turning your freelance writing business into a niche business, let’s hop into the shoes of an average client. Mr. Joe Plumber needs some blogging work to help boost the visibility of his company. Not really knowing anything about blogging, he turns to the Internet to help him find someone to write for him. Mr. Plumber didn’t realize it, but there are zillions of freelance writers out there all looking for work. As soon as he hits “Search” he’s bombarded with names of people offering to write for him. There’s no way for him to decide who to pick, even when he limits the search to his local area. However, Mr. Plumber gets an idea and searches for “freelance writers + Plumbing.” Perhaps not surprisingly, only a handful of names pop up. Now he just has to call or email them to see who can help him. Now imagine you actually have quite a bit of plumbing experience. You thought limiting your client base by specializing in the subject would hurt your business so you instead to market as broadly as possible. You don’t even mention your former career as a plumber on your website. Unfortunately, that just meant Mr. Plumber looked right over your contact info. So you see how specializing in a niche area can actually give you an advantage. The freelance writing world is so swamped with your competitors it’s wise to use any advantage you can find. Focusing on a niche subject and becoming an expert in it rather than writing about anything and everything can become a huge advantage. But how to start? How do you pick a subject to focus on? For starters, it’s best to go with something that you’re already passionate about. Not only will it be an easier jump for your business the writing may be significantly better since you know and love whatever it is. Now, use a site like Social Mention to get an idea if there’ s a niche available to you. Not every subject you would like to focus on is going to work as a specialty. Sometimes there will already be tons of people writing about the subject. Of course that doesn’t mean you shouldn’t try. So what if there are already a ton of travel and sports writers? Maybe yours could be the new voice of a generation. When I recommend specialization I inevitably hear “But what if I can’t find clients?” Specialization is not the end of the world or your career. Just because you write mainly about plumbing doesn’t mean that you can’t go after other types of clients if the plumbing work dries up. Specialization does not equal painting (plumbing?) yourself into a corner, but can give your work a focus and drive that you just won’t have as a generalist. What do you think? Is specialization the way to go? Please share your story in the comments! I DO think specializing is the way to go. Just look at doctors. Specialists command a LOT more money than general practitioners because they know a lot about a specific topic, rather than knowing a little about a lot of topics. Time and time again you hear stories of writers who “broke through” once they picked a specialty. And it’s really not hard to figure out what your specialty could be. Just start categorizing your client list and see what industries/niches come up the most often. And you’re right. Writers should get out of their own way. Just because there may be lots of other writers in their area of specialization, doesn’t mean success isn’t possible. You just have to think creatively and know what makes you different from everyone else. Thanks, Prudence! Funny enough, I wrote this post because I’m a specialist convert. I was a generalist for a long time and – like the other writers you mentioned – finally realized that I was a small business specialist. After that, the rest was history. I appreciate the reply. Thanks! I think it depends on the specialty you choose. I can’t see a writer specialising in plumbing (for example) doing that great, because most plumbers are unlikely to use content etc to get work. Certainly that’s the case in NZ – a lot of plumbers don’t even have a website and still resolutely advertise in the Yellow Pages! That said, I’ve actually just been writing a website for a plumber, but he’s a bit different because he specialises in solar heating and eco-wastewater management. Writers who specialise in something like healthcare or insurance, absolutely they’ll do well. What I’m trying to say is that specialising is all very well, but only if it’s in a specialist area itself. Local businesses like that might not rely on a website. But in my area at least, they do rely on direct marketing. We get postcards, letters, flyers, etc. all the time from just about any kind of contractor you can imagine. They seem to especially target people new to the area, figuring they’ll drum up new business, so ours have thankfully decreased a bit. I’m guessing they just do more limited runs based on watching real estate listings. But even if they don’t need a Web copywriter, they definitely benefit from copywriting. And remember, it’s the writer’s job to show clients that they add value. Often the best specialty areas are the ones where clients still need a bit of education on that value because it means the markets aren’t saturated yet. That’s how I started out doing PR writing for small online businesses. Almost no one else was doing it, and I invested a lot of time in educating. Now they all seem to be using press releases and such, and countless writers are specializing in helping them. Making a name for yourself early is never a bad thing! Another thing to consider is that specializing doesn’t always mean specializing in a specific industry. It can also mean you specialize in a certain type of writing (like white paper, direct sales copy, company blog posts, etc.). So the writer who targets plumbers could also target other verticals with the same services — local landscapers, electricians, pool companies, exterminators, etc. Those businesses often target the same end markets — home owners. 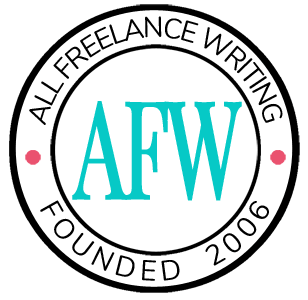 I am new to freelance writing – very new. And as I started to learn about all the different types, I become completely overwhelmed. Gradually, as I’ve learned about how a writer can make money, I have indeed narrowed my focus and it is very freeing. Now I know what to focus on – nonprofit copywriting – and that will make the learning and marketing process so much easier. I’m very excited. This post is very encouraging! I’m so glad you’re seeing this plan in practice. I’m a Board Member of an arts-related non-profit and I know that it can be incredibly rewarding… as long as they have the money to pay you! Congrats on narrowing your focus and finding success! I started out as a generalist, but I’ve narrowed down my specialties. I could probably narrow it down again, but I keep going back and forth because of my experience. Hmm… maybe I’ll speak to my business coach about this. I agree with Lucy that writers in the healthcare or insurance industry will do well. Writers who specialize in finance and legal will do alright too. However, it could pay to have more than one specialty just in case one industry lags behind the other. In my comment to Lucy, I mentioned targeting different verticals with the same specialized services. That’s one way to do what you’re saying. The key is that you try to focus on similar markets. This way you can market your services in a few primary ways and reach clients in multiple areas, rather than having to run completely different marketing campaigns, websites, etc. to bring in work. Specializing in a few things probably isn’t going to hurt you. It’s when you try to come across as an authority in everything under the sun that you lose some serious credibility with clients. I strongly agree with you Jennifer! We need to find something that we do best and we love doing! We have to stick to that and continue to develop to gain more and more knowledge and expertise. Learning should be never ending. Agreed! Also, strangely enough, I just put this theory into practice in a bit of an unusual way. I started a genealogy blog as a hobby. (I, of course, couldn’t stop myself from applying blogging best practices to the endeavor, even though it isn’t a money-making venture for me by any means.) Well, about a week into the blog I got an email asking if I was taking genealogy clients! I had to turn him down – I’m nowhere near a professional genealogist – but it was gratifying to see specialization working in action, and quickly, too! Once the decision has been made to become a freelance writer, you will need to decide what type of writing projects you wish to pursue. Always look for projects that utilize your strongest skills. This will help you establish a good reputation in the online business community and help you create a niche business. I think there is a lot of value in specializing — but I also think new freelancers should spend a year or so generalizing. Two reasons: first, it’s hard to pick a specialty or understand it when you’re first getting started. Most of the successful freelancers I know put in their time as a generalist first and then figured out their specialty. And second, even if you have a “built in” speciality, something you seem a natural fit for, working with a wide variety of clients and on a wide variety of projects teaches you things you never knew you never knew! In my case, I left a job as a B2B editor at a pet magazine and pet was an obvious specialty. But I was totally burnt out on it for the first year of my freelancing career. Now I’m working my way back into that space with renewed energy and interest. One thing I like to do at the end of the year is publish example records from a freelance writing business for the benefit of other freelance writers. This example generally includes income, expenses, hours, types of clients and etc. I neglected to do this for 2010 ( but here is an example freelance writer’s records from 2009 ) for some reason. So, I’m providing them today.